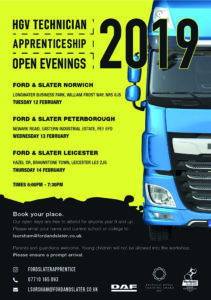 Local DAF dealer, Ford & Slater, is to host a series of HGV Technician apprenticeship open evenings in February aimed at encouraging young people to consider a career in the transport sector. 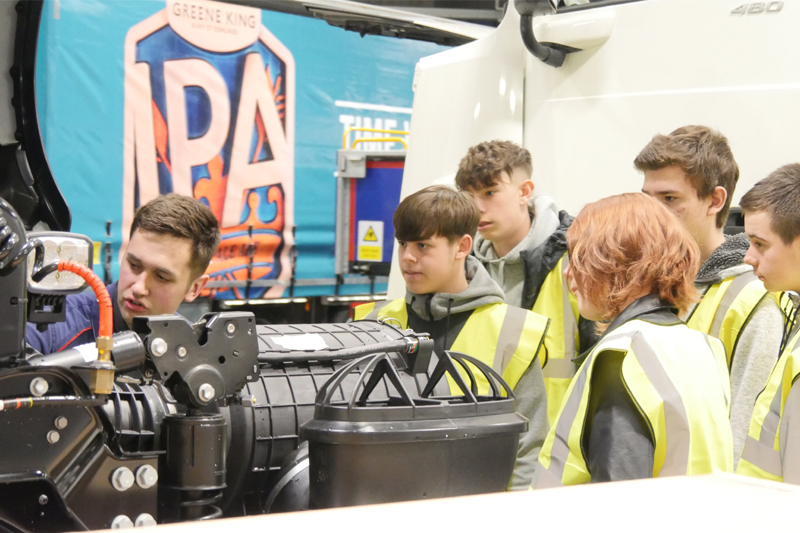 For the first time this year, Ford & Slater is opening the doors to its Norwich, Peterborough and Leicester sites and offering students and school leavers the chance to find out more about the award-winning HGV Technician apprenticeship scheme. The three-day event will begin in Norwich on February 12th and include an introductory talk and tour of the site, an opportunity to speak with both current and past apprentices, and give visitors a try at various technical tasks, including electrics, welding, inspections and diagnostics. All three events are free to attend and will begin promptly at 6pm. All locations will be hosting the same event so attendees only need to visit one of the three sites. Parents and guardians are welcome, but young children will not be allowed into the workshops.